Jim came to music performance at age 20. He had moved to the new gambling mecca, Atlantic City, NJ, in 1979 from his native Philly and found it bursting with possibilities. After navigating some rough starts, he found his mentor, local legend Chris Columbo, who was a long time drummer with Louis Jorden, and was the father of drumming legend Sonny Payne. 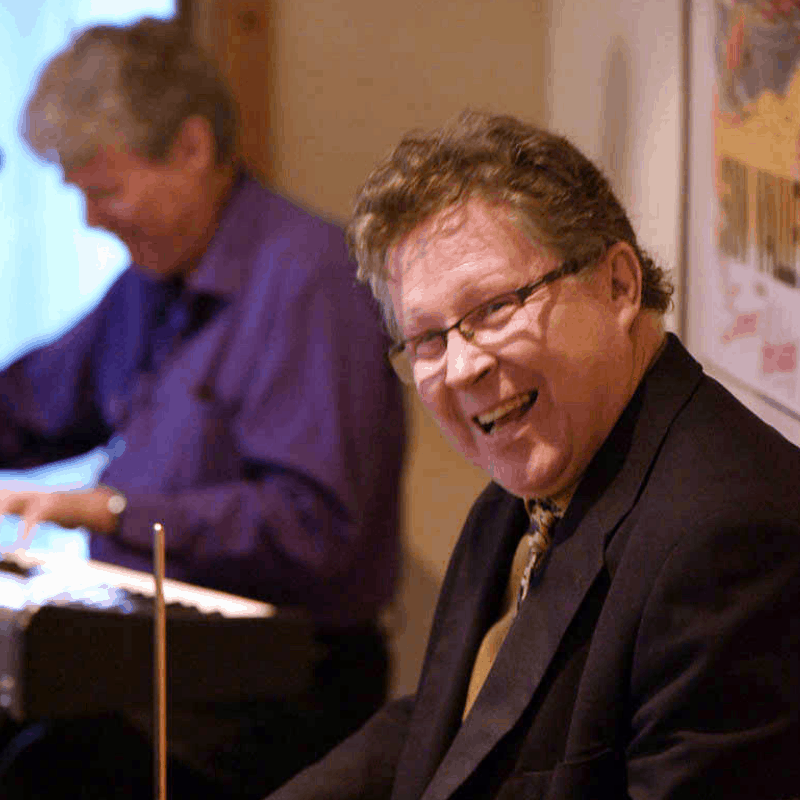 Through his many decades of experience, with his friendship and guidance, Jim learned to feel the very soul of jazz music, to really listen and how to properly accompany others. Jim soon became a familiar face in Atlantic City clubs and casino lounges, as well as clubs up and down the many Jersey Shore resorts. He and the Midiri Brothers discovered each other at the Atlantic City Sands Casino in 1989. Successful runs with their small groups and large orchestra ensued, and it is a musical and personal friendship that endures today. He currently lives in Moorestown, South Jersey with his wife Teresa and two daughters.